ALL NEW 2.0 VERSION! 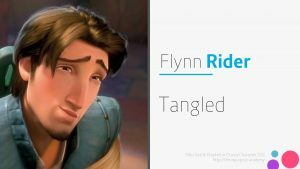 New fresh cool layout, quotes, and movies. I can’t wait for you to see this new game! 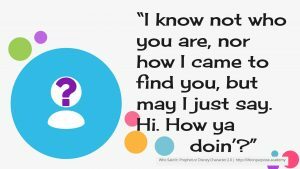 I created the original game for one of our Young Women’s mutual activity a while ago. We had girls (and leaders) jumping out of their seats trying to be the first to guess. Everyone had a blast and several have asked for copies to share with their friends and family. 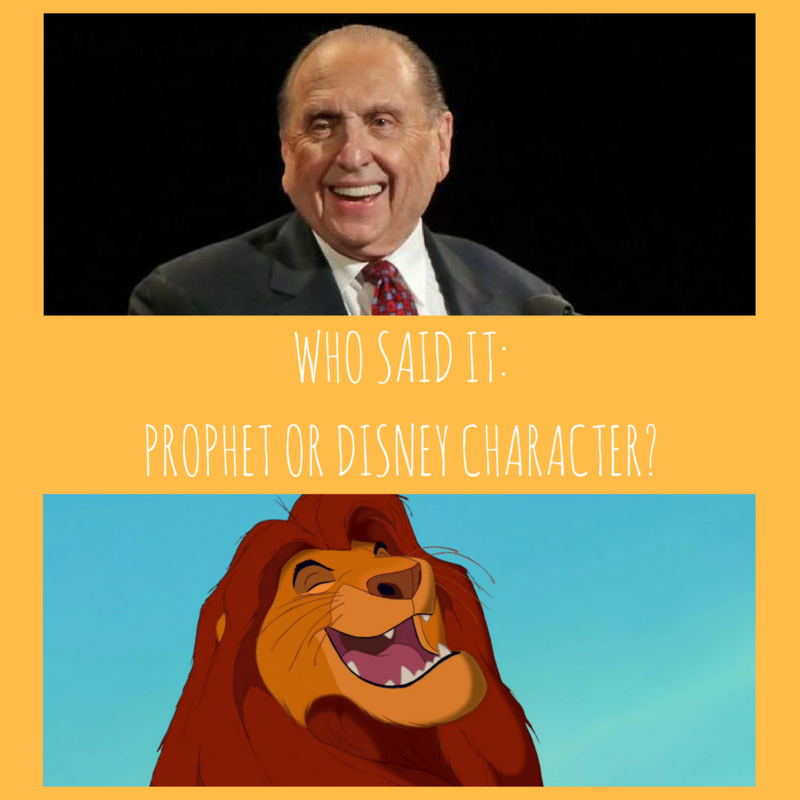 So I thought I would share Who Said It: Prophet or Disney Character here with you too. 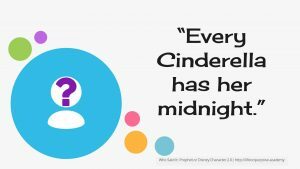 There are also quotes from Harry Potter, Lord of the Rings, and other popular books. There are 59 questions in this Microsoft Office PowerPoint Presentation so it filled a whole mutual night. 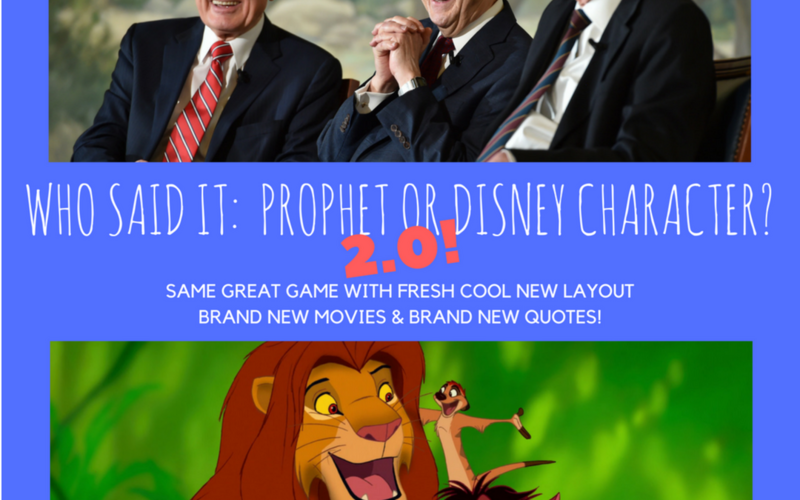 If they think the quote is from a prophet (or other leader of the church) they have to also guess which one. We had leftover candies from another activity so whenever someone guessed correctly or incorrectly we gave them smarties or dum dums. Then we had a healthy snack after to try and combat all that sugar. 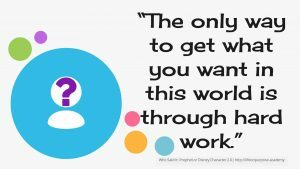 The PowerPoint is completely animated, so when a slide comes up with a quote, simply click your mouse or page down button for the answer to appear. You’ll want to go through it at least once to see how it works. There is even a bonus section at the end. 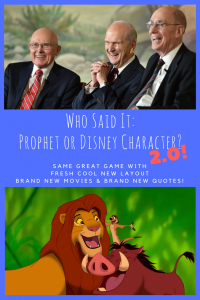 f you are looking for another fun LDS Youth Game, check out our original Who Said It: Prophet or Disney Character? 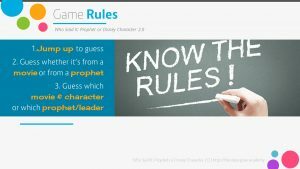 game or Family Feud Game Template game. We hope you enjoy the games! I purchased the 3 pack of youth games. 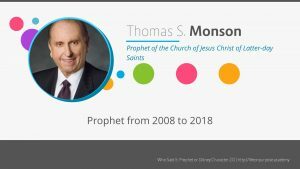 When I went through the first edition of Prophet or Disney Character, I could use the down arrow to go to the next slide. The second edition of the game will not let me do this. 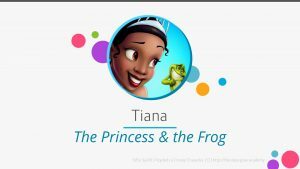 Do I have to wait for the slide to change on it’s own or is there a quicker way to get through the slides that I don’t know about? I’m using the Keynote program on my Mac. Thanks for purchasing the game pack! I have never had this problem before and I don’t use Macs so I have no idea how to help you on that. If you can’t figure it out, please let me know and I’ll issue a refund. Hi Cristi! Thanks for purchasing the game. I just issued the refund for the second game. Please let me know if you have any questions.